Here's my macro shots for Ruby Tuesday. 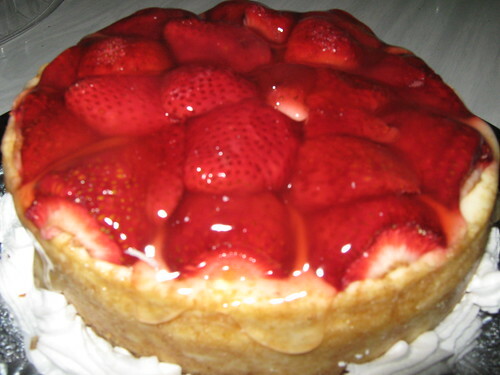 It's a very delicious cheese cake of my mom taken last New Year. The strawberries were so big and I love it! 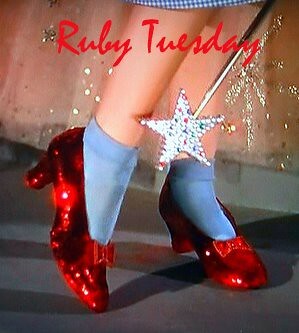 To view more red macro photos, visit the main site of Ruby Tuesday or you can click the badge above. That's not fair. Now I have to clean the drool off of my monitor. OK, now I'm hungry. Great photos. Wow! Looks so bloody but still yummy! I'm hungry now!!! Gorgeous pictures!! Happy RT and have a great week. My RT posts: CNY Special - II and It Meows #17. I knew I should have eaten before looking here. Nice shot! wow! 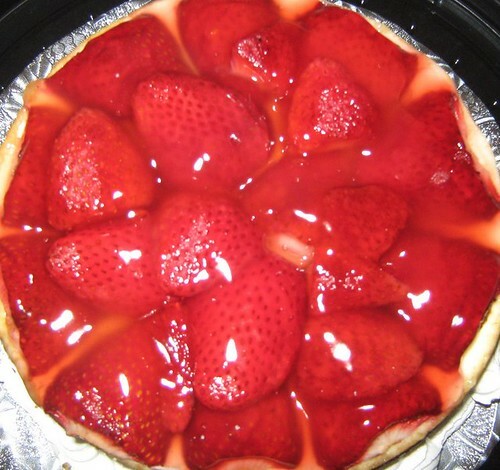 I love strawberries! How I wish we have that here also. I would have buy that dessert also. So yummy, that's my favorite fruit.